Welcome to Day 6 of 31 Days of All Things Home. Today I'm talking wallpaper...and specifically the three gray and white wallpaper beauties that I am trying to decide between for my half bath. Click on the button to see all of my 31 Day Posts! 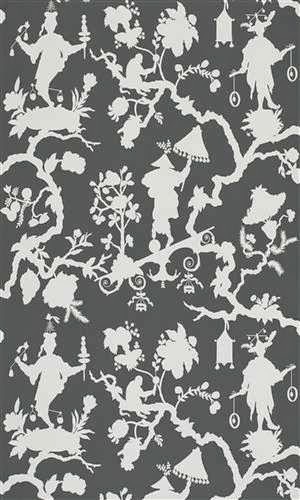 The first wallpaper is Chenonceau by Schumacher. 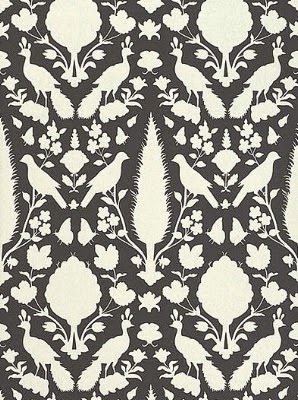 I've been in love with this pattern (both the fabric and the wallpaper) for years. It's whimsical and classic all at the same time. The second choice is Leaf by Katie Ridder. I think I've loved this paper for almost as long as I've loved Chenonceau. It's got that whimsical feeling to it as well, and reminds me of fat little trees...in a good way. My third and final option is Shantung Silhouette also from Schumacher. This pattern is one that I just discovered this year. It's got a similar feel to Chenonceau in both the colorway and the fact that the images are in silhouette. 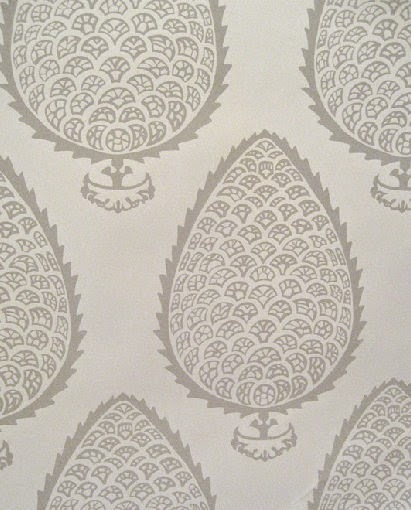 Plus, I kind of like the Chinoiserie feel of this particular pattern, so it's a definite contender. Okay, so just for fun...cast your vote for your favorite wallpaper in the comments. I'm still up in the air, and I'd love a bit of input. Oh, and thanks for all the Decorating For Real Life love! 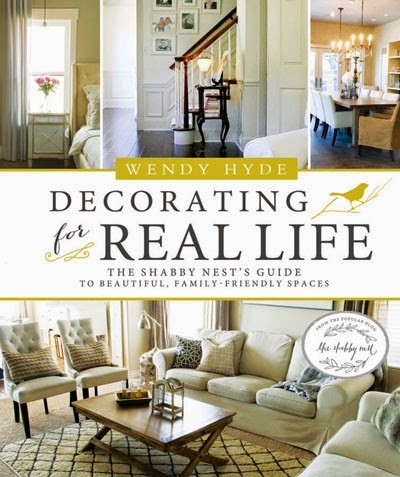 My book was in the top 100 books on Amazon in three categories: Decorating, Decorative Arts and DIY almost all day today! If you haven't purchased your copy, it's available for pre-order here. They are all timeless and having said that, I choose #3, because I feel it is the MOST timeless!!! #3, #1, #2. #3 with a faux bamboo mirror in gold would be perfect in a powder room.